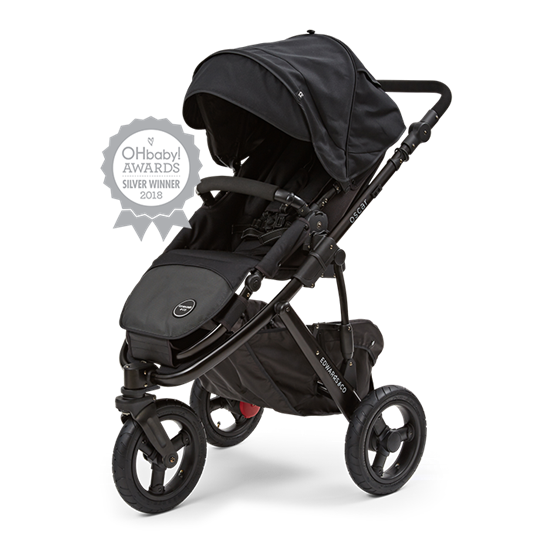 Building on the success of the original reverse seat Oscar, Edwards & Co's Oscar g3 features more than ever before - an easy use cycle break, simple click-off removable wheels, a ventilated seat, a spacious hood and magnetic peek-a-boo window. PRE-ORDER NOW FOR DELIVERY APPROXIMATELY 31 MAY. 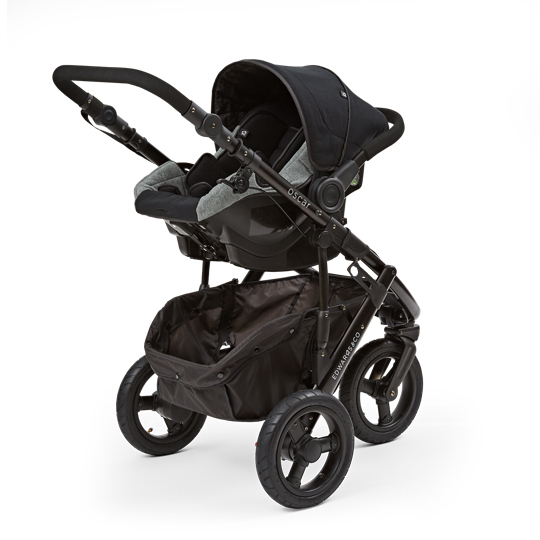 We got the combination (pram, bassinet and capsule) in the rose gold colour and we love it! I fell in love with it when I saw it the first time and had to have it. Baby loves it too and it’s so easy to use. 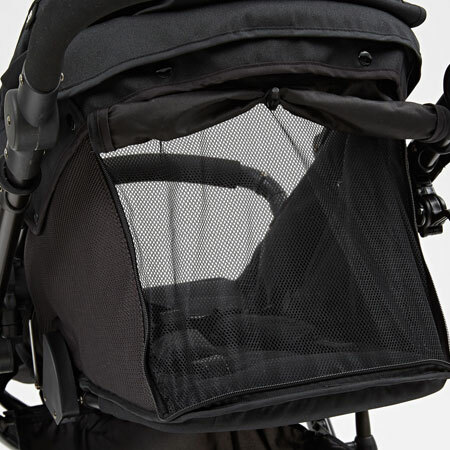 Love that you can clip the bassinet and capsule into the pram’s frame. Makes life so much easier. Best Buy! 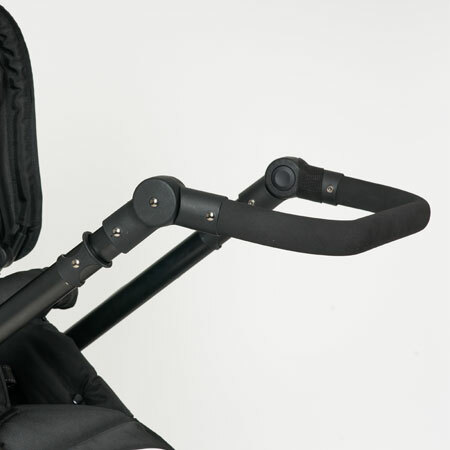 We love our Edwards & Co set (capsule, base, Oscar pram and bassinet attachment). Everything we were looking for in a pram and so easy to put up and down. Capsule feels super safe and the click in base makes travelling in the car so easy! We have also just purchased the travel bag for our upcoming holiday! Would 100% recommend! We have the Oscar G3 and love it. 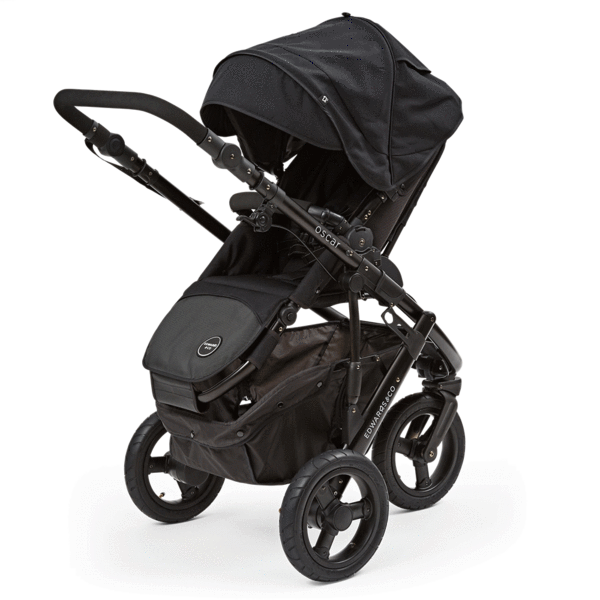 We were after a versatile, convenient and robust pram. We had looked at other prams and found this one filled all of our requirements. We use the carry cot and have found it very convenient to settle our girl and go out for walks etc without having to worry about transferring her into a cot/bassinet. It is also easy to fold up and quickly put in the car. Would highly recommend this to anyone. I love my Edwards and Co pram. It is obvious that a lot of thought has gone into it's design. 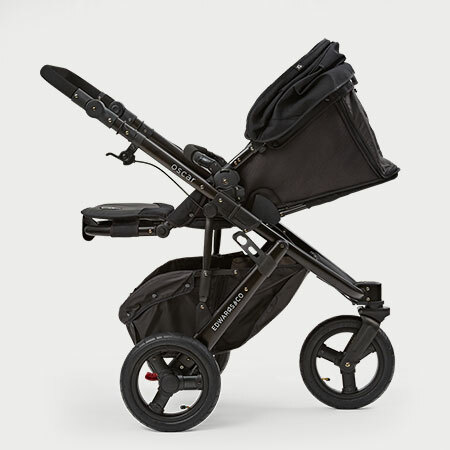 I love that I can forward or rear face my baby and it works well on rough terrain for dog walking. We love our Oscar G3! We spent ages looking for the right pram. Looked at Bugaboo and Mountain Buggy and came across Edwards and Co. The Oscar G3 had everything we were looking for including forward and back facing seat option. It is so easy to attach car seats/bassinet and we are so so happy with our choice. We recommend it to everyone! Saving up to buy the otto next! We are so in love with our new Oscar G3! It makes me want to go out more! 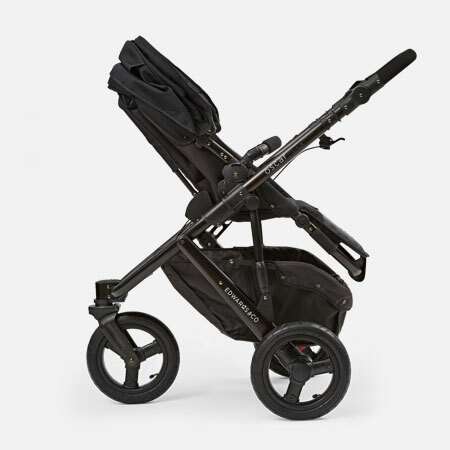 The turning is amazing, I even used it inside our house to push baby around when I was sick and too weak to carry the baby around the house - something I would never manage with my Mountain Buggy! We live on Waiheke Island, so I needed something with decent tires and suspension but was looking for something less bulky and less heavy than our Mountain Buggy. The Oscar G3 is a whole new experience and in a league of it's own! I love how front wheel lock can be accessed from the handle bar and I love how the seat can be parent facing. My 4 month old loves the lie flat position in the seat (not in a carry cot). I get excited every time we get to use this stroller. There isn't a hand brake on the stroller, however, but it's light enough to not need going down hill so far in my experience. This may be something to think about though if you plan to run with your stroller. 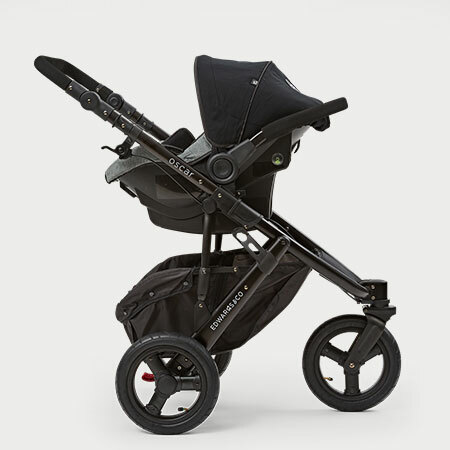 We were looking for a lightweight, easy to control stroller suitable for walking and running. We also wanted it to be quick and easy to fold and fit well into a smaller car. We found all of this with the Oscar g3 and we love it! Orders received before 10am will be shipped that working day. New Zealand: 1-4 working days from when order is shipped. As long as the item is not fitted or used we are happy to receive it back for a refund or exchange. Goods can be returned within 30 days of purchase. Goods must be in original packaging and packed to prevent damage during transit. Goods must not be fitted or used. Please email us to advise why you would like to return the item and your full bank details. Postage is non-refundable. We will subtract postage from the purchase price of your order. Upon receipt of goods, we will inspect to make sure goods are in brand new, sellable condition. If we determine goods are unused, we will refund your bank account (less the cost of postage). We will email to confirm when refund has been processed. With the click of a button, reverse the seat around so that your child and watch them grow. Oscar uses our much-loved travel system...allowing users to easily connect our Carry Cot or Car Seat Capsule with no expensive "travel system adaptors" required. Oscar is a 3-wheel buggy with all-terrain rubber tyres and suspension. We've designed him to go outdoors - because that's what kiwi families do! 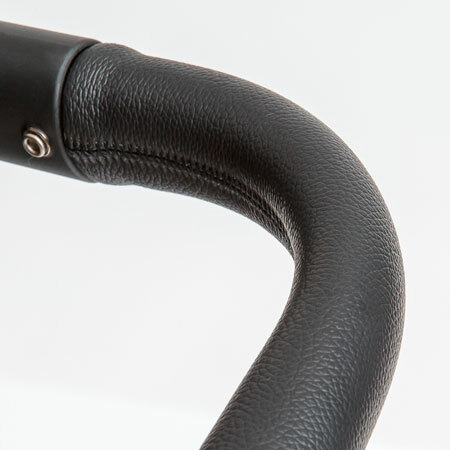 Leatherette handlebar and bumper bar - more luxurious and more durable. 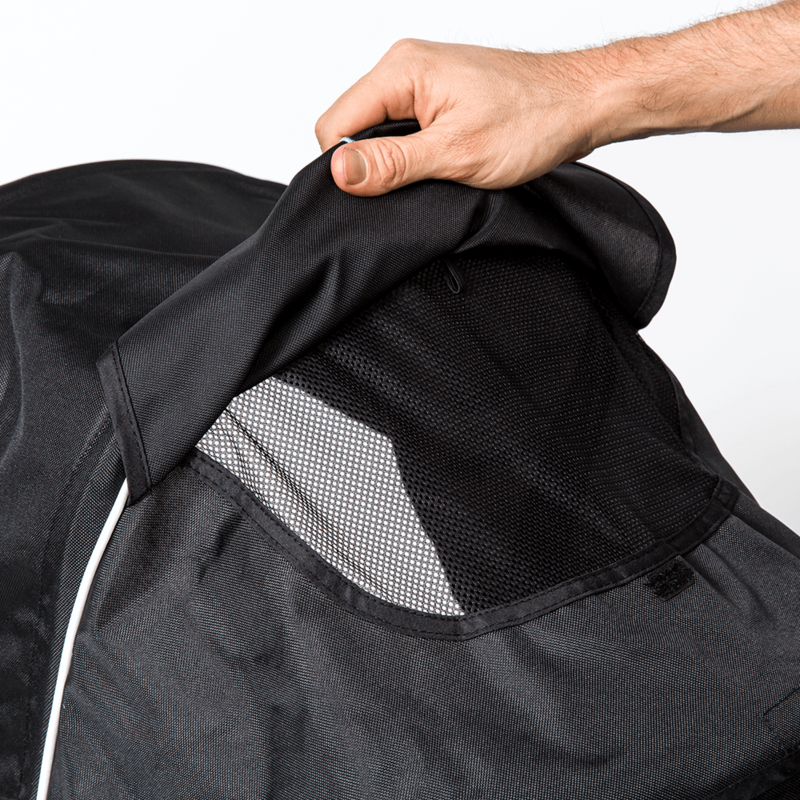 Unzip the seat back to create airflow on hot summer days. Quickly remove the back wheels for more boot space when needed. With some simple structural changes, we've managed to shave off around 1/2 kg in weight! Push to lock, push to unlock. Smooth and easy to use. Slient peek-a-boo window for stealthy sneak peeks. Nothing handles quite like the Oscar g3. you can feel it spring to the challenge of any surface. 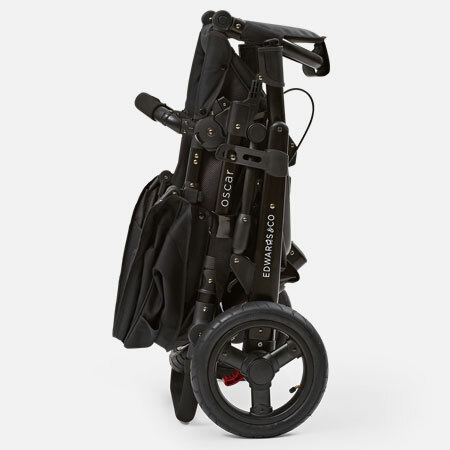 The Edwards & Co Capsule connects directly to the Oscar g3 making travel more convenient (and more affordable). - MAXI-COSI, Cybex, Nuna, Moutain Buggy, phil&teds and other brands of capsule car seats using our MAXI-COSI adaptors. - Steelcraft Infant Carrier capsules (no adaptor needed). 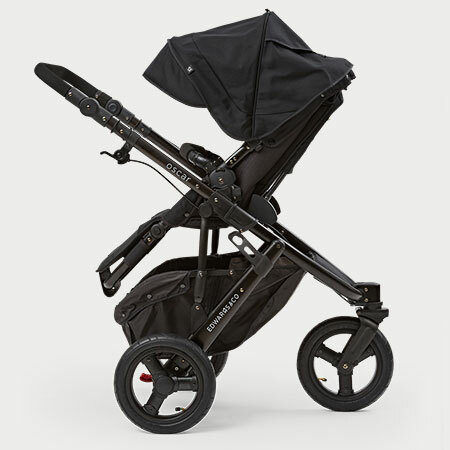 - Britax/Safe & Sound/BOB capsules with Click & Go connectors when using the Britax Strider Click & Go Unity Receiver. With the click of a button, reverse the seat to face your child (from newborn to 20kg). An in-built adaptor for our car seat capsules (as well as the Steelcraft Infant Carrier) and carry cots. 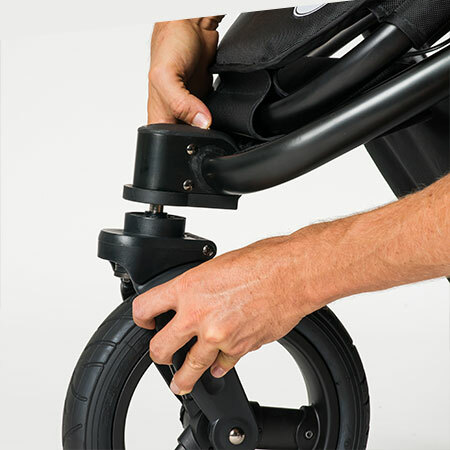 An adjustable handlebar with 7 positions to make using your stroller more comfortable. Pneumatic (inflatable) tyres and independent smooth ride suspension. 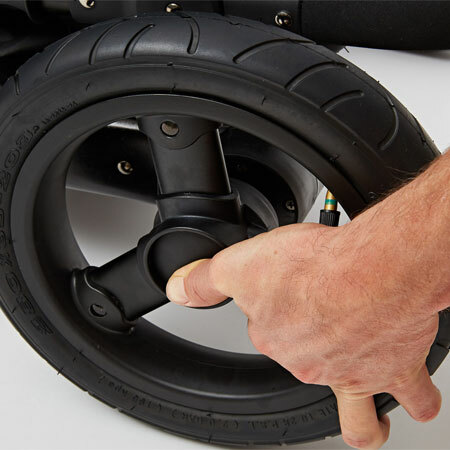 Easily removable wheels, just one click pull the wheel out, then one click back in! Three seat positions to suit newborns to toddlers - lie flat, recline and upright. both forward and reverse)all in one click!